Back pain is the most common pain condition for millions of Americans. In many individuals, back pain may only be temporary, but for millions more, it’s a chronic pain condition which impacts every segment of your life—work, recreation, intimacy and more. Back pain can lead to several different pain treatments and depends on severity, duration of pain and other factors. Dr. Pannozzo of Summa Pain Treatment always attempts to first diagnose the causes of your pain and then decides whether medication, injections, exercise, therapy, bioelectric treatments or even surgery may be required to treat chronic or serious back pain. Rest. Sometimes good old fashioned bed rest or immobility is one of the best back pain treatments. Rest can help the body heal and return you to normal. Rest, however, is not enough for more serious, chronic conditions. NSAIDS. NSAIDS are over-the-counter medicines that help relieve the pain and discomfort of back pain by blocking pain signals. NSAIDS are not free of side effects and complications. They also may not be sufficient to provide real relief, especially for more chronic back pain problems. They may also mask more serious back pain issues. Physical Therapy is a method that may help treat some pain conditions by utilizing ultrasound, water, heat, cold, manual therapy, education and exercise to relieve the back pain. Physical therapy may also be used to speed up recovery time after surgery. Nonsurgical Spinal Decompression with the DRX9000. 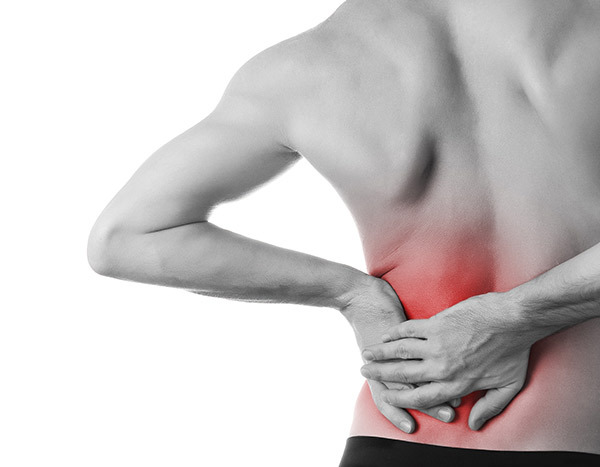 This back pain treatment utilizes a non-surgical method of traction for back pain treatment. This machine gently decompresses the spine by gently stretching it. Dr. Pannozzo uses this pain treatment solution to relieve the pressure on herniated discs and promote healing. This method is typically used to relieve sciatica and severe lower back pain. Injections. Sometimes spinal injections are the best course of pain treatment for patients experiencing spinal stenosis or other back pain conditions. There are several types of spinal injection pain treatments: Epidural (in or around the spinal cord), Nerve Blocking, Discography. Dr. Pannozzo takes the time to determine which course of action is best for relieving your back pain symptoms. Radio-Frequency Ablation. This pain treatment method uses an electrical current produced by radio waves and heats up a small area of nerve tissue. This decreases the pain signals that your nerves receive. This pain treatment can help alleviate pain and avoid more serious measures. Spinal Cord Stimulation. This is a more dramatic back pain treatment solution and may be employed if major back surgery won’t correct the issue or when surgery has already been performed and has failed to provide pain relief. This pain treatment solution is also reversible. A small incision is made In the back, and a small electrical device and generator are inserted into the back. This unit can be controlled by the patient and allows the back pain patient to reduce his or her intake of pain prescriptions. It also has less or very limited side effects when compared to other more invasive pain relief treatment.